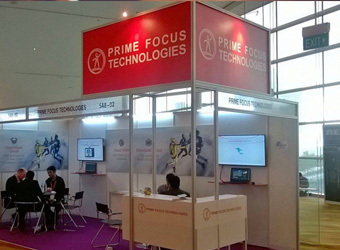 Prime Focus Technology (PFT), a subsidiary of media services company Prime Focus, has raised an undisclosed amount in funding from private equity firm Ambit Pragma, according to a stock exchange filing. The company will use the funds to intensify product development of software as a service (SaaS) products including its flagship product CLEAR Media Enterprise Resource Planning (ERP), it said. It will also use the funds to increase sales and marketing for North America and European markets, it said. A report by The Economic Times pegged the funding amount at $20 million, citing unnamed sources. While an Ambit Pragma spokesperson declined comment on the deal size, a PFT spokesperson did not immediately respond to an email query. "Media ERP adoption in the global media and entertainment industry has been growing steadily. With flat revenues and shrinking margins in traditional media, content enterprises like broadcasters and studios have a tough time finding resources to invest in new monetisation opportunities. Media and entertainment companies have to re-think technology investments and re-jig business model to survive in the new digital reality," Ramki Sankaranarayanan, founder and CEO, Prime Focus Technologies, said in a statement. The company's key product CLEAR is a hybrid cloud-enabled media ERP suite that helps build a centralised and connected content ecosystem, according to its website. PFT is addressing the challenges content enterprises face in a hyper digital market, said Ambit Pragma's CEO Rajeev Agarwal. In April 2014, the company made two acquisitions in the US. It bought US-based DAX for $9.1 million to enter the North American market. DAX provides cloud-based production workflow and media asset management applications. That year, it also acquired Los Angeles-based digital restoration house Lowry Digital. Its clients include Star India, Miramax, Disney, Warner Bros, Cricket Australia, CBS Television Studios, 20th Century Fox Television Studios, HBO, BCCI and Indian Premier League. PFT's parent Prime Focus is backed by Standard Chartered Private Equity, which acquired 9.7 % stake from Reliance MediaWorks last year taking its stake to 22% in the firm. Meanwhile, Ambit Pragma has invested in another media company MAD Studios which offers production equipment services to film technicians, according to its website. Last year, VCCircle reported that the PE firm had made its first exit by selling its stake in Spear Logistics.